But hey, at least we’re getting a sidewalk! Remember when the sidewalk grant was announced in 2010? And we talked about it in 2011? Thanks, really, to those at the County and the community (and those who straddle both!) for continuing the push. Unfortunately, my kids are now well out of Crozet Elementary, but I look forward to seeing more kids riding bikes and walking to school! And thanks to those at Crozet Elementary who continue to push and advocate for walking and biking to school! really? six years for a sidewalk? 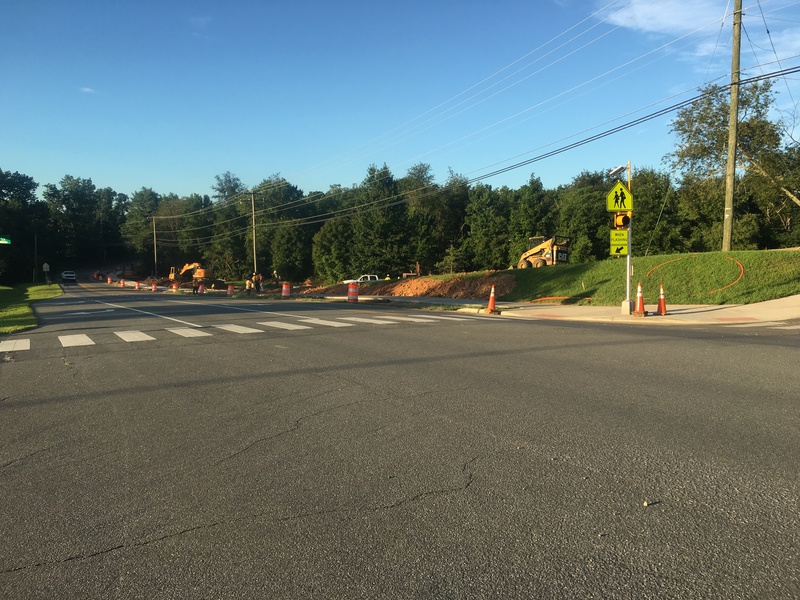 I just moved to Crozet and noticed the lack of a sidewalk going to the Brownsville/Henley school area. Seems like a good investment to have one. Agreed. There’s a worn path that serves that purpose, but it’s not what should be there. yes – but with near record levels at Henley and growing Brownsville and WAHS just up the road why isn’t there a paved trail that parallels the road through Old Trail to the light ? If you are a kid walking you have to go to school with wet feet. This is crazy lets get at least one sidewalk going all the way to the corner. This is crazy – why isn’t this more of a priority ? 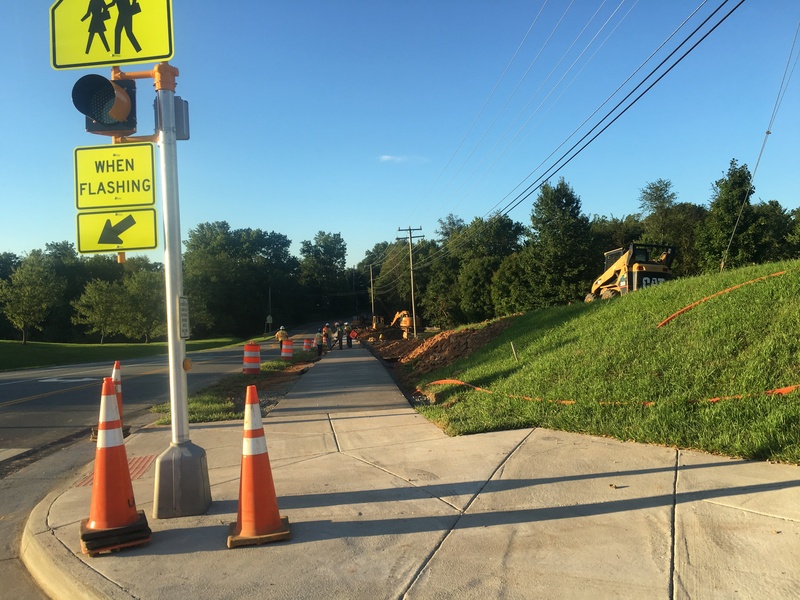 Thanks to the Crozet Trails Crew volunteer who was widening the trail bridge but a paved trail to connect to the rest of the sidewalk system isn’t too much to ask. How about it Old Trail ?? ?